Scientific explanation for Super element Akasha, and Glucons, very interesting !! 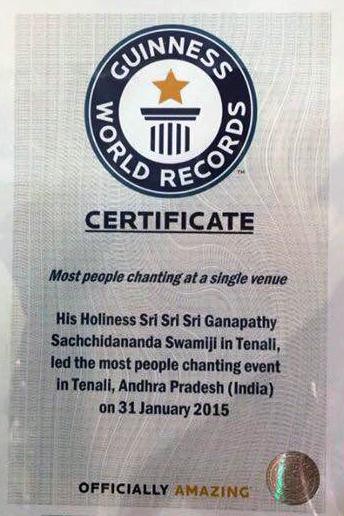 Sri Guru Dtta !! Jaya Guru Datta, Swamiji! Color force….those words have captured my imagination and raised a question about color and nada and creation….You have taught us that Akash carries nada–tell us more please about how these color forces and Nada are connected…. 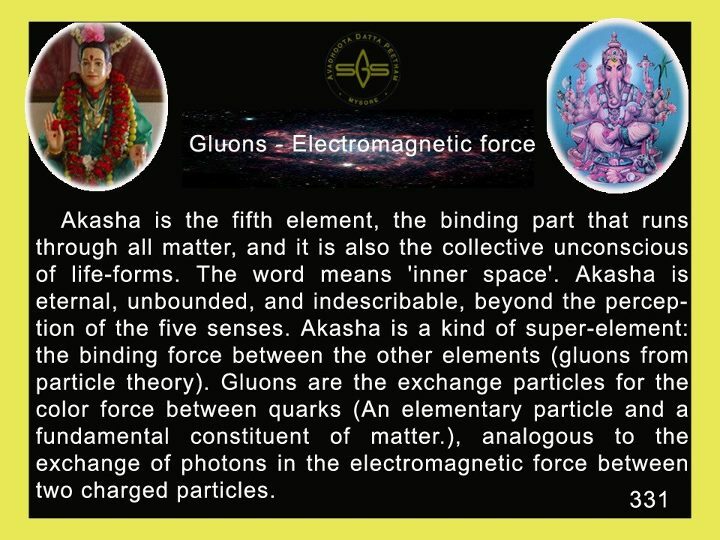 Scientific explanation for Akasha and Gluons , very interesting !! Sri Guru Datta !! JGD.Good physics material pass thro’ this explanation of gluons,a new concept to us.We are given more Astrophysical knowledge thro’ this SGD. I am a bit lost, but still i am very much attracted. jai Guru datta.